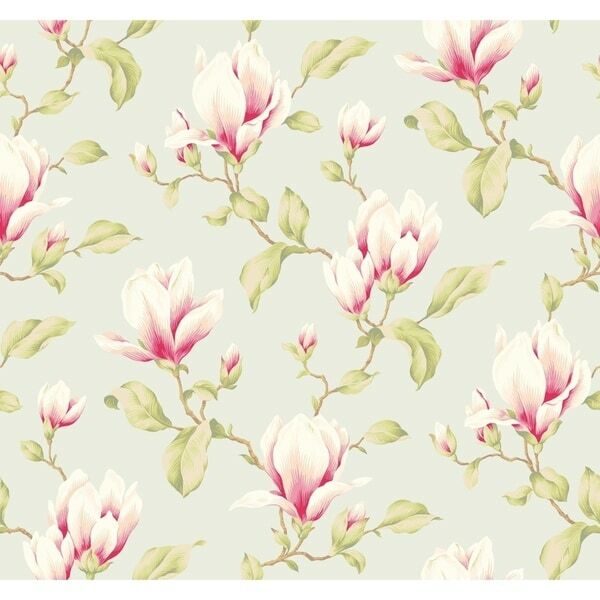 Magnolia Branch Wallpaper 27 in. x 27 ft. 60.75 sq.ft. Fortuna Wallpaper 27 in. x 27 ft. 60.75 sq.ft. Floral Branch Wallpaper 27 in. x 27 ft. 60.75 sq.ft. Patchwork Wallpaper 27 in. x 27 ft. 60.75 sq.ft. Weighted heavy magnolia blossoms on stout branches form an allover oversized print with a gentle texturing effect that softens sizing and acts as a restraint to the designer color background. Boldly beautiful, with subtle unexpected color detailing within each magnolia's petals, this pattern has all the earmarks of a design classic. Use it in tandem with strong coordinates such as "3" Wide Stripe" and "Bamboo Trellis" for balance and perfect color flow. Made in USA Completely removable guaranteed. Double Roll Dimensions: 27 in. x 27 ft. = 60.75 sq. ft.
Dimensions 20.5 In. X 2.0 In. X 2.0 In. Bianca Wallpaper 27 in. x 27 ft. 60.75 sq.ft. Dante Wallpaper 27 in. x 27 ft. 60.75 sq.ft. Matteo Wallpaper 27 in. x 27 ft. 60.75 sq.ft. Serena Wallpaper 27 in. x 27 ft. 60.75 sq.ft.